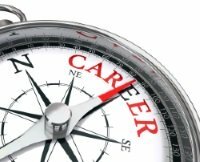 Is a Project Management Career Right for You? A project management career might be the perfect choice for you if you are a results-oriented person who is interested in leading a group of people towards the accomplishment of a business objective. When choosing a career, one of the most important factors to consider is its employment outlook. You will spend about half of your waking time working in your profession, so you want to make sure that there are future opportunities available for the skills and experience you are building. When you start exploring the project management profession, you will see that it is a growing profession with great opportunities for people with project management skills and experience. There is a significant increase in the number of jobs requiring project-oriented skills. Everyday, the value of project management is being realized in industries that were traditionally less project-oriented. For example, industries such as health care, publishing, and professional services are implementing project management practices more often than before. Additionally, as companies get more disciplined in delivering their projects, they are better able to tie project results to their business strategy. The second reason the need for project management professionals is growing is that there is a natural attrition in the supply of Project Managers as many of the experienced professionals retire each year. This is creating a great opportunity for people that have taken the time to build their project manager skills. As you can tell, the employment outlook for Project Managers is looking great. Let's now dig deeper into the career growth potential you can experience as a Project Manager. As a Project Manager, there are many directions you can take for career growth. If you're fortunate, your company will have a formal, well-defined Project Manager career path that you can follow from entry-level Project Manger to Project Director. In other companies, the career path for Project Managers may be informal or non-existent. The first exposure most people will have to project management will be as an individual contributor to a project. Individual contributors are responsible for completing specific project-related tasks. They may report directly or indirectly to a Project Manager. As you move from an individual contributor role into project management roles, you will be taking on increased responsibility at each level. The increased responsibility will be a combination of additional project complexity, larger budgets, increased project scope, and greater impact to company strategy. An entry-level role in project management can be leading a small project or a limited-aspect of a larger project. As you move from an entry-level role to a mid-level role, you will start to take on more responsibility and your projects will have a greater impact to your company's strategy. The projects you lead at this level will have a larger scope, be more complex, have a higher budget, and have larger upsides and downsides. At this level, you will also start to manage larger teams. As a result, you will need to focus on developing your soft-skills just as much as your technical project management skills. 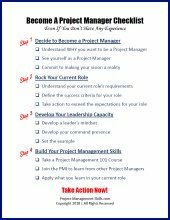 For those that enjoy the hands-on aspects of project management, you can have a full career staying at this level by leading projects of increasing responsibility or by expanding your breadth of experience by leading different types of projects. As you move from a mid-level role to a senior-level role, your focus will become more strategic. At this level, you start to focus on the interdependencies between projects and ensuring the projects under your responsibility are meeting the strategic objectives of your company. As a Project Manager, you'll be exposed to many aspects of your company's business and operations. So for those looking to advance into other functions, a stint as a Project Manager may be perfect for building important connections inside and outside your company as well as for gaining exposure to how your company operates in different functional areas. It is even possible to use a Project Management career as a stepping stone to a Chief Executive Officer (CEO) position. An example of someone who did this is Alan Mulally. Alan held engineering and program management positions at Boeing. His experiences in those roles led to him taking the CEO position at Ford Motor Company in 2006. When deciding on a career, another important factor is the potential salary you can expect to earn. In general, the earning potential for project management practitioners is excellent. In 2017, project management professionals earned 82% more than non-project-oriented occupations. 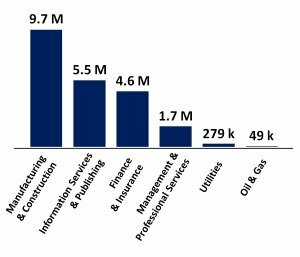 On average, project management professionals earned $105,000 while non-project-oriented occupations earned only $58,000. Within the project management profession, those holding a Project Management Professional (PMP) certification had a 23% higher salary than those without PMP certification. Another key factor that impacts a Project Manager's salary is the number of years of project management experience you have. So the sooner you can get started managing projects, the sooner you can start to see your salary increase as you quickly build experience managing projects. With a very positive employment outlook, many opportunities for career growth, and excellent salaries, the future is looking very bright for people entering into a project management career.